THIS FESTIVAL IS INSANE- so insane that we’re sending one of our team from Los Angeles to cover the madness. If it isn’t obvious why we’re anxiously counting down the days until iii Points – allow us to explain. 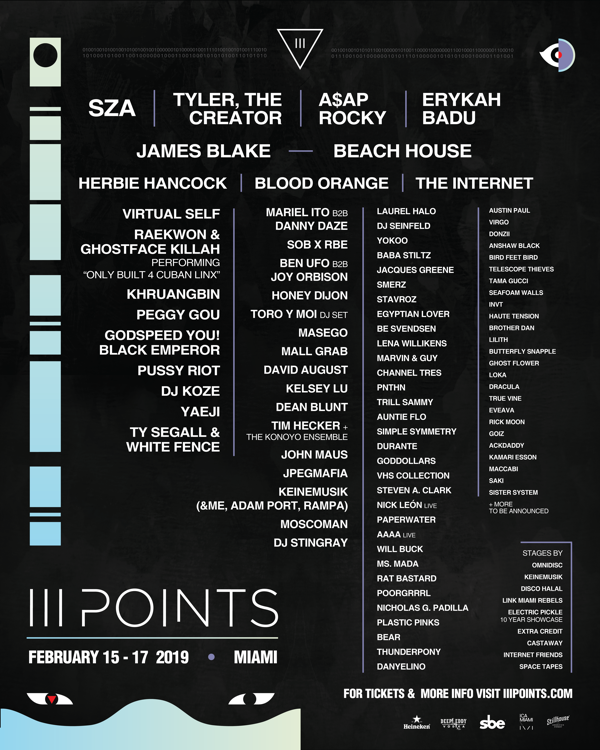 Taking place in Miami’s Wynwood Arts District from February 15-17, iii Points is known for providing a space where local, underground, and world-renowned artists can share a stage to celebrate music, art, and the distinct South Florida culture you can’t help but wish you were a part of. You can expect an eclectic combination of music genres and late nights with sets running until 5 am – basically, a guaranteed good time and an absurd amount of sets each holding the potential to change your life. In addition to the top notch artist lineup featuring A$AP Rocky, Beach House, SZA, Durante, Peggy Gou, and (over 100) more, iii Points just announced their highly anticipated visual arts lineup. 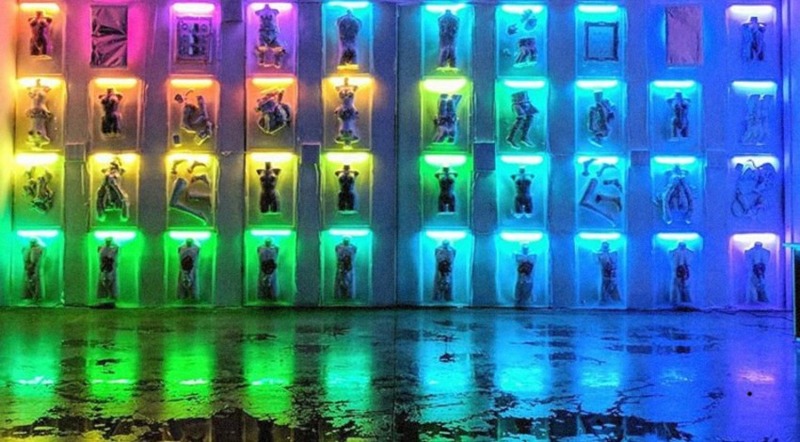 The impressive list of 20 installations throughout Mana Wynwood’s 100,000 square feet space should come as no surprise since Miami’s rise as an art mecca after holding its’ first Art Basel in 2002. #Repost @faena ・・・ 3/3) Speaking to the theme of the first-ever Faena Festival, 'This Is Not America', artist Luna Paiva says: "As a Latin American, I have always perceived a weighty quality in the American aesthetic, which is also reminiscent of the political and economic dominance of the US itself. But I’d like to think there’s also an element of hope in this space, as the organic elements seem to be flourishing." . . Join us on Monday, Dec. 3 for the grand opening of #FaenaFestival to experience Luna Paiva's site-specific installation and many others. Visit the link in bio to RSVP & learn more. Head to the festival’s website HERE for additional information on the art, music, and general experience.